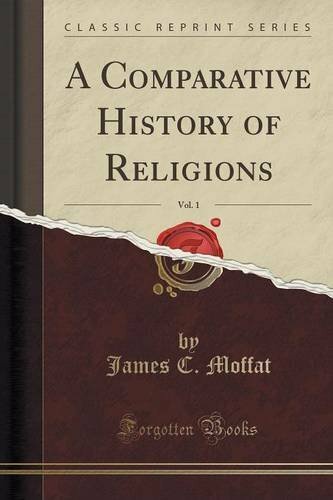 A Comparative History of Religions, Vol. 1 (Classic Reprint)@1099 Rs [Mrp:-1099] - Onlinedeals.discount - A leading product discovery website. Find the true prices of products, read reviews and buy top brand products at reasonable prices. In the work, of which this is the first part, it is proposed to exhibit a general view of all religions in their relations to one another. Without presuming to treat so vast a subject exhaustively, the writer believes that a simple statement and classification of the doctrines and practices of religion, and the facts of their historical development, as far as known, will help towards a scientific comprehension of the whole. At present, its materials are an utter chaos, in which superstition and unbelief alike find refuge, and the wildest assertions on both sides elude exposure. To compare and arrange what we know partly, enables us to know it better, and is some advance towards understanding what would otherwise remain unknown. Truth is always served by that work, however brief or feeble, which goes to clear up the order of facts.